As consumers in a market economy, most of us compare prices for certain goods and services — especially major ones, like a household appliance or a car. Comparison shopping based on cost, in most cases, helps hold down prices and saves consumers money. But a new study shows that when it comes to health care, putting this principle into practice may be difficult. Published earlier this month in the journal Health Affairs, the study surveyed a nationally representative sample of nearly 3,000 nonelderly adults in the United States. When asked about the importance of comparing prices in health care, the majority said they believed it was important, and expressed doubt that higher prices meant higher-quality care from doctors or a higher level of other medical services. But among respondents who had some out-of-pocket medical expenses at their last health-care visit, only 13% asked about these expenses ahead of time. And only 3% of respondents compared costs between providers before receiving their last set of health-care services. As noted in a HealthDay article on the study, the main barriers that respondents said prevented them from comparison shopping were the difficulty of obtaining price information, as well as a desire not to disrupt the relationship with their current health-care provider. The article also notes that in a second study — published in the same issue of Health Affairs, and involving some of the same researchers — a large population of people with health insurance was given a specific price-comparison tool for lab tests, office visits, and imaging services. Over the first 15 months in which this tool was available, only 12% of those with access used it, and using wasn’t even associated with lower prices for lab tests or office visits. For imaging services, those who used the tool paid an average of 14% less, but since only 1% of people in the study group compared prices before their imaging, this small benefit didn’t translate into overall lower costs for people who used the comparison tool. What’s your take on comparison shopping for health care based on price — have you ever tried to do this in the past? If so, how easy or difficult was it to find the prices you were looking for? 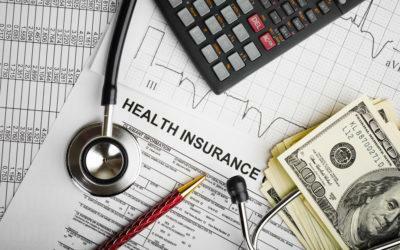 Does your health insurer offer any kind of price-comparison tool? If such a tool existed, would you use it for services like lab tests and imaging? What about for office visits — are you willing to pay more to see a doctor you like? Leave a comment below!